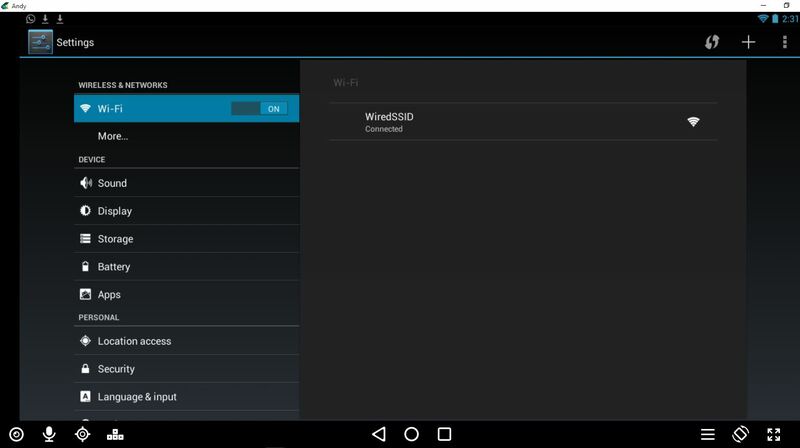 With Andyroid, a user can run android applications on Windows and Mac computers. 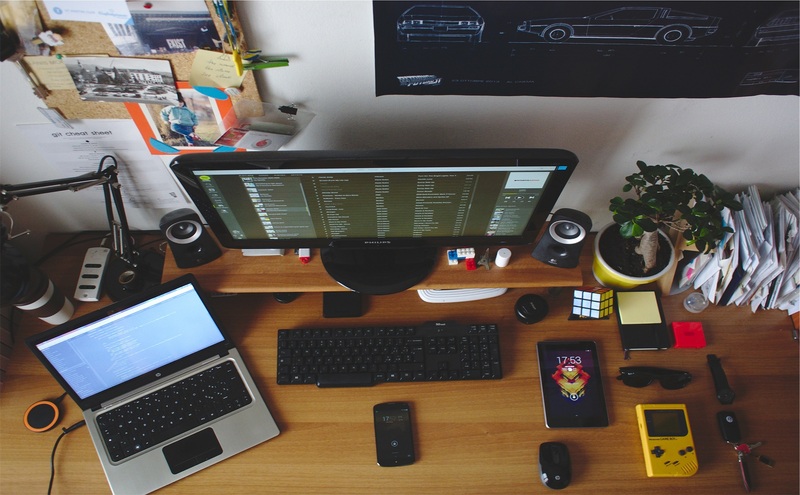 Andyroid breaks down the barrier between desktop and mobile computing. 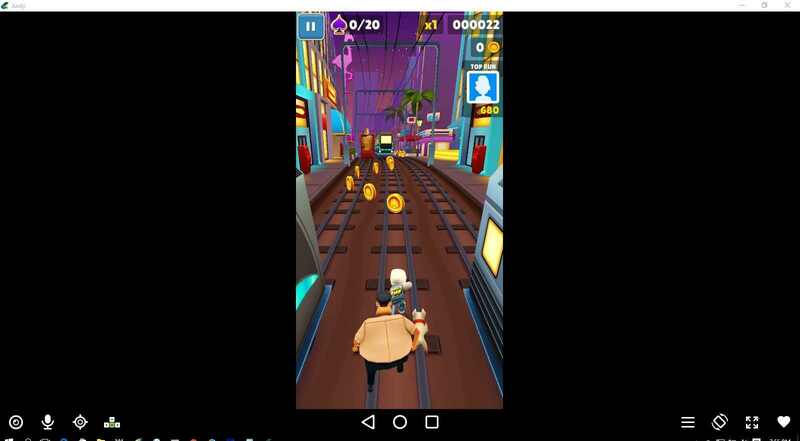 It also provides users with unlimited storage capacity, PC and Mac compatibility, and the freedom to play the most popular mobile games on a desktop. Andyroid enables you run Android on windows as stated before. 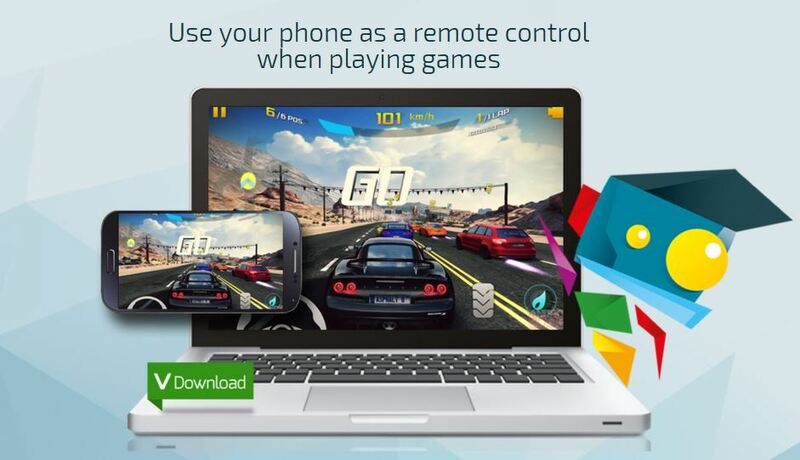 You can use your phone as a joystick with Andyroid. Therefore, you will never have to sacrifice the multi-touch or gyro elements of gaming, and thanks to seamless connection between desktop and mobile, you can receive a SnapChat/Whatsapp phone picture from your friends and see it, right on your desktop screen. Download Andyroid here, its around 415MB. 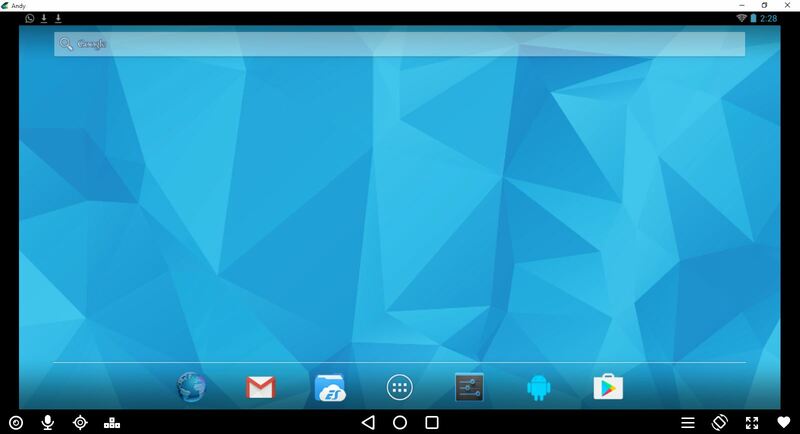 That means with this application installed on your computer you can run all android apps on your computer. This may be particularly useful for Windows based tablets that only supports the .exe/.msi. or any other reason at all. 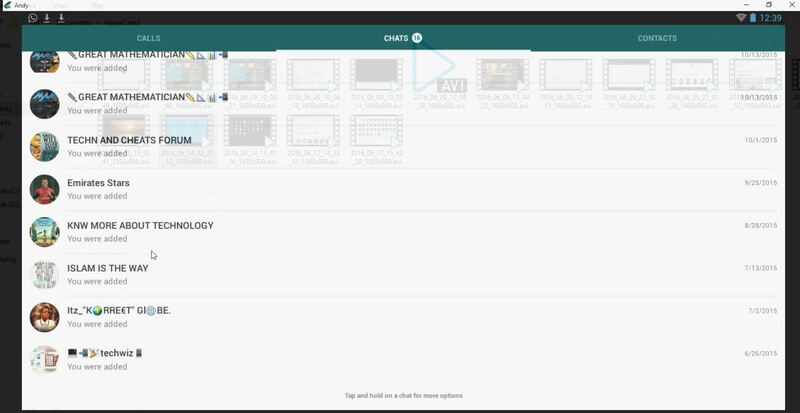 For example, if some one wants to make an Android Streaming app like UKTV, and Mobdro to be cast on a TV or Laptop the need for Andyroid becomes an irresistable option. Andyroid provides seamless sync between desktop and mobile devices. It enables Windows and Mac systems to connect with Android apps for launching, and push notifications. 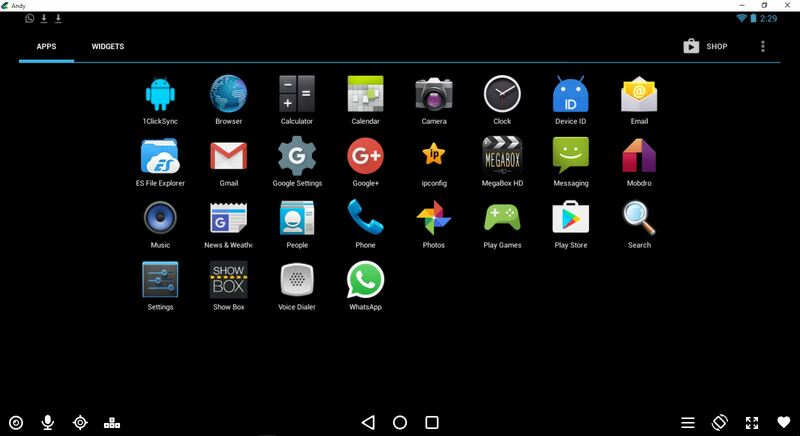 With Andyroid you can download from your computers browsers directly to Andy OS, this feature makes it easy when downloading Android applications directly unto the Andyroid emulator. It also comes in stock with your favorite apps to the desktop. This menu is similar to the normal menu usually on most android devices when navigating through the apps layout. This is where you would normally find installed apps. Andy comes packed with other necessary android application by default, like Web browser, Google services, ES File Explorer and Photos. Whatsapp, Mobdro, Mega and Showbox android application were the only application that didn’t come alongside Andy, they were installed on Andy for testing purpose. 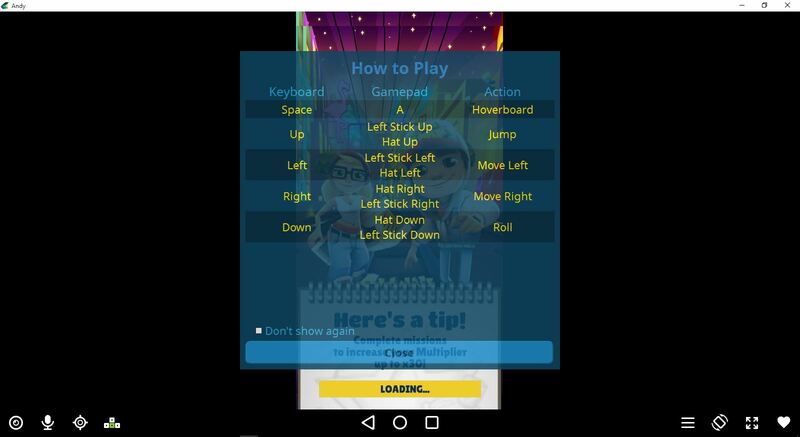 Installing an android application on Andy, is as simple as right clicking on your mouse on the .apk file on your computer. That is locating the Android application file and by selecting the option, open with Andy OS. The camera application on Andy uses computer webcam. 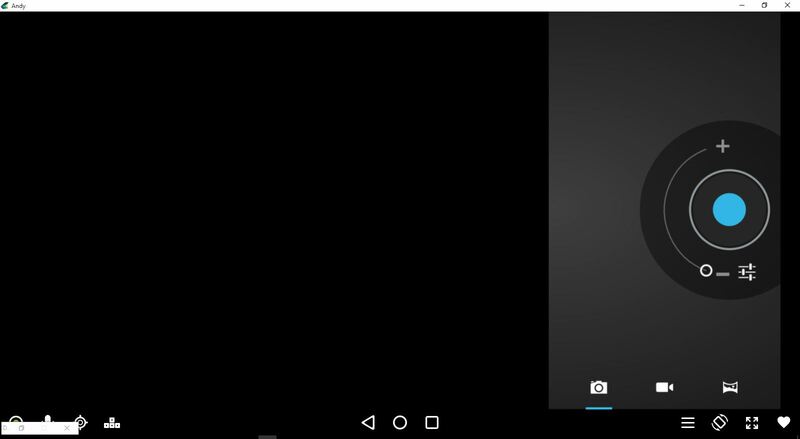 By clicking on the camera app, a menu that looks like the image below pops up and activates the computer webcam. The camera should be quite easy to manipulate. Kid stuff!! Andy also creates a virtual network, that uses the computer network for internet access within the Andy environment. On Andy installation completion, Virtual network interface should appear under your computer network adapters. Kid stuff!! Same way you install apps on your android device on play store. Locate the play store app in Andy, ensure there is connectivity to internet, connect your google account and continue from there. Download latest Whatsapp .apk file from apkpure.com or if you already have the Whatsapp .apk file on your computer, follow the steps above for installation. 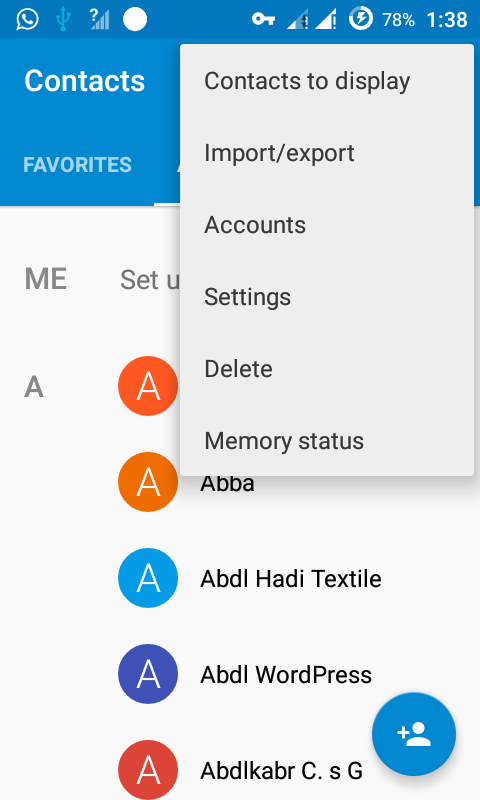 In Andy application you will need to add your contacts manually by locating the contact menu the one that’s tagged “people” just as in normal android device. Alternatively, make a contact backup and restore. 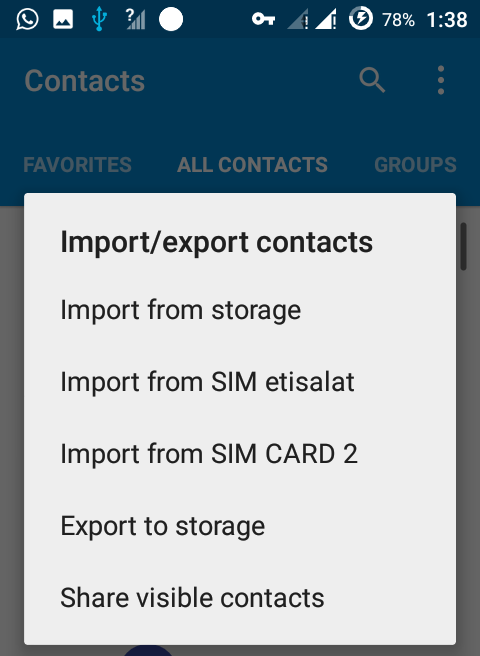 Backup your Android mobile phone contact on a memory by exporting the contacts to your phone SDCARD. Locate the exported contacts, usually in .vcf format. Now, copy this to any location on your computer. Then,open Andy, go to contacts/people in Andy. Then, Locate the option, import/export. Import the contact to Andy by locating the .vcf file. After successful import you should see your contacts. Select the option export to storage. And chose SDCARD. Your contacts will be saved in .vcf format to your SDCARD. The contacts can now be imported from Andy to be used on Whatsapp. Make sure you have active internet connectivity on your computer. Open Whatsapp as usual, put your phone number, and proceed as usual with the setup process. Download apk app from apkpure.com and install or install directly on Andy using play store. After install open Subway Surf and enjoy!!. The game runs seamlessly on Andy.